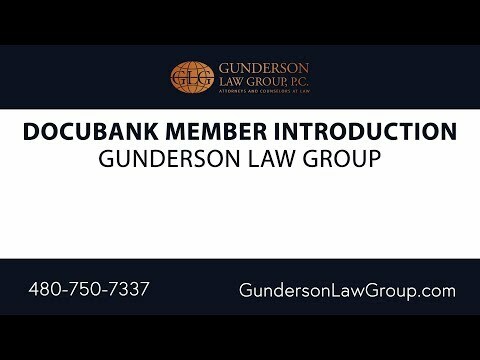 Arizona Estate Planning Lawyers | Gunderson Law Group, P.C. If you own property, or have loved ones who depen on you, then you probably need an estate plan. The complexity and cost of an estate plan can vary widely, depending on your own circumstances and objectives. The Arizona Estate Planning attorneys at the Gunderson Law Group in Mesa can provide expert counsel and advice no matter your circumstances. A well-designed Estate Plan will allow you to enjoy your property while you are alive and well. It should also include a clear plan that ensures you and your loved ones are taken care of in the event that you are no longer capable of managing your own affairs. Ideally, your plan will allow you to give what property you want, to whom you want, when you want, and in the way that you want. The attorneys at the Gunderson Law Group are available to provide assistance in this type of comprehensive Estate Planning. To set up a consultation with one of our attorneys, contact us. At that most general level, your “estate” consists of all your property, including bank accounts, retirements plans, real estate, cars, jewelry, and other items of personal property. There are other definitions of an “estate” that can apply at different times, as well. For example, the “probate estate” is the total amount of assets that need to be distributed under the direction of the probate court or someone authorized by the probate court after someone has died. One’s “taxable estate” consists of all the property that is subject to estate tax laws. Most often, when we talk about someone’s “estate,” we are talking about all of the property that a person owned at the time of his or her death, but sometimes we talk about the “estate” of a living person, especially if that person is the ward of a conservatorship. A well-designed Estate Plan contemplates all of these circumstances–allowing you to arrange your affairs in such a way that minimizes taxes, court costs, and administrative expenses, where possible, eliminates the need for a court to step in and manage your affairs on your behalf. To set up a consultation with one of our Mesa Estate planning lawyers, contact us. The Arizona Estate Planning attorneys at the Gunderson Law Group can help you to create an estate plan that is specifically tailored to your needs. This planning process includes advice and guidance on important legal decisions as well as in drafting the legally binding documents necessary for carrying out those decisions. To set up a consultation with one of our attorneys, contact us.